Delta employees have helped families across the globe for more than twenty years through its partnership with Habitat for Humanity, a global nonprofit organization that helps families build or improve a place they can call home. This week, Delta employees, along with employees from partner airline GOL and Santander Brasil, are in Recife, Brazil, continuing this commitment to service to communities worldwide. 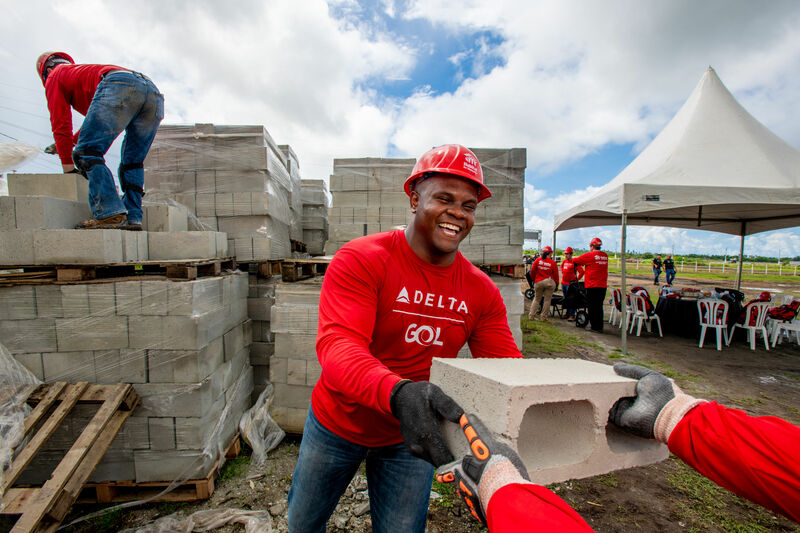 The 2019 Delta Global Build takes place March 18-22, marking Delta's 16th Global Build with Habitat for Humanity and the first Build in Brazil. 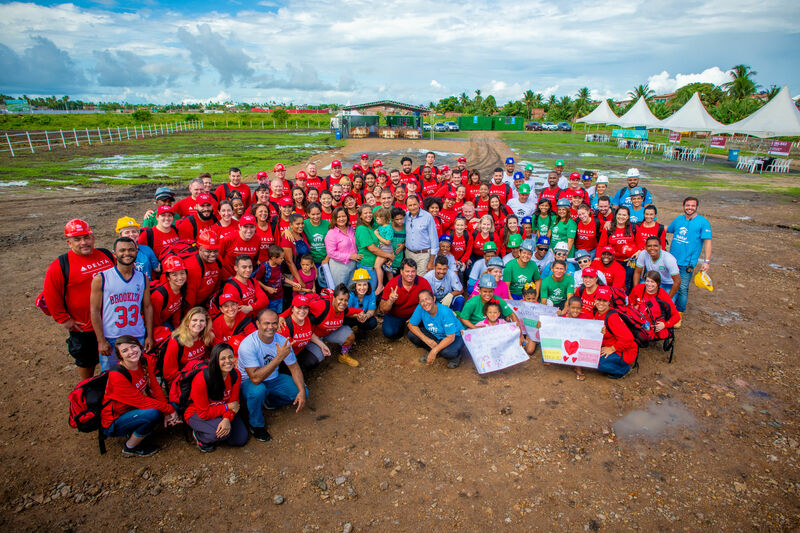 Volunteers include 54 Delta employees and two retirees, representing 24 stations and four countries, and 12 employees from GOL, the leading airline in Brazil. Four employees from Santander Brasil also join the team of volunteers. The 72-member team will work alongside future Habitat homeowners in Nossa Senhora do Ó, a small town near Recife, to begin construction of six new homes. The work involves the construction of exterior walls, bathrooms, kitchen facilities and the first two rooms of each home. "The Delta Global Build shows that travel is not just about connecting destinations, but also experiences, cultures, people, airlines and the global community," said Tad Hutcheson, Delta's Managing Director – Community Engagement. "It is a privilege to have our colleagues at GOL join us on this year's Global Build with Habitat for Humanity, strengthening our partnership and supporting the community we serve together in Brazil." Delta employees have helped build or rehabilitate 264 homes in 12 countries all over the world since our partnership with Habitat for Humanity began in 1995. Delta Global Builds have been organized in Argentina, Chile, China, the Dominican Republic, Ghana, Haiti, India, Mexico, the Philippines, South Africa, Thailand and the United States. Giving back to the communities where we live, work and serve is core to Delta's culture, and the Delta Global Build is a special way for Delta employees to give back by helping to provide safe, affordable and decent housing to those in need through our partnership with Habitat. Delta Air Lines is working to connect the world and that starts by making a difference in the communities where Delta people live, work and serve. When customers choose Delta, they make a difference in communities around the world. Last year, Delta and The Delta Air Lines Foundation contributed over $50 million through the airline's commitment to give one percent of its income to key charitable organizations. Delta people actively volunteer their time and talents, an effort is amplified through the Great Delta Give Back, the airline’s commitment to pay employees to spend a day volunteering for a host of causes across the globe, with key focus areas including health and wellness, education, military and veterans, sustainability, and diversity and inclusion.